From Sea to Prairie - From Sea to Prairie: A Primer of Kansas Geology, written by Catherine S. Evans. 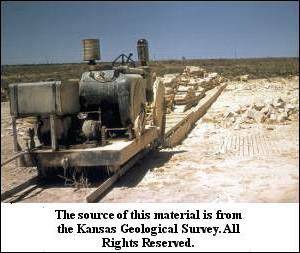 Chase County, Kansas – Economic Geology of Outcrops (and limestone quarries), presented by the Kansas Geological Survey. Elk County, Kansas - Mineral Resources of Elk County, by Robert Kulstad, Norman Plummer, Walter H. Schoewe, and Edwin D. Goebel, Kansas Geological Survey. Emporia State University, Earth Science Department, Emporia, Kansas. The Flint Hills, Kansas - Geology, Geomorphology, and Geohydrology of The Flint Hills, East-Central Kansas, by James S. Aber, Earth Science Department Emporia State University. From Sea to Prairie: A Primer of Kansas Geology, written by Catherine S. Evans, Kansas Geological Survey. There are several sections in this publication that are of particular interest to those interested in building stones. These are listed below, although there is a lot of other material is also covered in the publication on the web site. GeoKansas – A Place to Learn About Kansas Geology - Physiographic Map of Kansas, presented by the Kansas Geological Survey. Geologic Story of the Great Plains, by D. E. Trimble. A nontechnical description of the origin and evolution of the landscape of the Great Plains, Geological Survey Bulletin 1493, United States Government Printing Office, Washington, 1980. Geology of Kansas – Economic Geology – Lime and Hydraulic Cement – 1878, First Biennial Report of the State Board of Agriculture to the Legislature of the State of Kansas, for the Years 1877-8, presented on the KSGenWeb Project web site. Geology of South-Central Kansas Field Trip, Kansas Geological Survey, Open-file Report 2001-41, from GeoKansas, Kansas Geological Survey. The two types of limestones mentioned on this trip are the Fort Riley Limestone and the Silverdale Limestone. There are several Fort Riley Limestone quarries in the El Dorado area. Today this limestone is quarried for aggregate and rip-rap. The quarry near Junction City provided some of the stone for the state capitol building. Silverdale Limestone is quarried south of Fort Riley in Cowley County. This limestone was given its name from the fact that there are many quarries of this type of limestone near Silverdale. Geology of the Kansas City Vicinity - Lewis and Clark Bicentennial Space-Age Atlas, by James S. Aber, presented by the Lewis and Clark Bicentennial Space-Age Atlas web site. Johnson Geology Museum, Earth Science Department, Division of Physical Sciences, Emporia State University. Kansas - America's Volcanic Past, presented by the United States Geological Survey. Kansas Limestone and Dolomite, Topeka Gem & Mineral Society. Kansas Sand and Sandstone, Topeka Gem and Mineral Society. Lincoln County – History of Limestone Fences in Lincoln County, Limestone fence posts near century in use. From the Lincoln Sentinel-Republican, November 26, 1981. Rock City, Minneapolis, Kansas. This web site is presented by Carol Yoho. Isaac Alexander, quarry man and contractor, Chase County, Kansas. 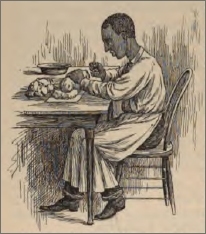 A biographical sketch from William G. Cutler's History of the State of Kansas, Chase County, Part 3, first published in 1883 by A. T. Andreas, Chicago, IL, presented by Kansas Collection Books. "(Isaac Alexander) has been a resident of Chase County ever since his return from the war, and started in the business of quarrying in 1873. The first quarry he opened was in the town site of Cottonwood Falls. Since then he has opened quarries east of the city, and has at present four quarries, furnishing a large quantity of stone for shipment, including the foundation for the main structure of the State Capitol at Topeka. He at present owns 302 acres in Chase County, a great portion of it being quarry land.One of the oldest settlers of the county, he has remained upon his original ground." “Guiseppe Vincenzo Bossi, known to his East Bolton neighbors as Joseph Bossi, came to this region in 1872. Born Oct. 5, 1834, in Porta Ceresio, Italy, a small town near Lake Como on the Swiss border, he was orphaned by the death of both parents when he was about 12. His sisters were named Paulina (Pauline); Catrina (Catherine); and his brother was named Giovanni (John), all older than Joseph. “John and Joseph were apprenticed to learn sculpture, marble, and stone cutting when quite young. Joseph was eleven. They became self-supporting from then on. John, the older brother, was so proficient that he was sent later to the Academy of Fine Arts in Milan when he gained recognition as a marble cutter and sculptor, and when recruiters were sent to Italy by the United States government to find and hire talented sculptors for the Capitol Building in Washington, John was one of 20 promising young Italians chosen for this work. For three years, John worked on the stone frieze in the senate retiring chamber, most of the time lying on his back upon a scaffold as he carved. “Because of his brother's success in America and also because of military conditions in Italy, Joseph decided likewise to seek his fortune in the new world. Docking at New York, he worked his way southward along the coast settling for a time in Savannah, Ga., where he opened a small confectionery store.he went to Maryland and joined the Union Army. He served the term of his voluntary enlistment, about three months, and then found employment in Washington, D. C., near his brother, John, both working as marble cutters and stonemasons at the Capitol Building during Abraham Lincoln's administration. Upon completion of their work at the Capitol, the brothers turned westward. John established a monument business in Delavan, Wisconsin; Joseph opened a confectionery store in Chicago. Business flourished until Oct. 1871 when the famous Chicago fire destroyed Joseph's store. Insurance companies were unable to pay their claims and Joseph, hearing of opportunities in Kansas decided to come here. En route to Kansas in 1872, he became friends with the Italian speaking family of the late A. A. Buzzi, a prominent stonemason who helped erect many of the cut stone buildings in Arkansas City. Buzzi invited Bossi to stay with their family in East Bolton until he could find a farm of his own. “Joseph bought a farm adjoining the Buzzi farm. This farm has remained in the family ever since. Bossi married Ellen C. Brown, daughter of a neighbor Andrew Brown, and built for her a limestone masonry block house from his own quarry. The house is now occupied by a grandson, John V. Bossi. “‘You lose your purpose to live if you're not doing something’. These are the words that 70 year old Elmer Brazzle lives by. A stonecutter for 47 years, Brazzle is the father of fourteen children and mentor to many at the Bayer Stone plant in St. Marys. Pride of hand craftsmanship has been his trademark from the very beginning. "It's quality...Making sure a piece is correct, checking what he's doing, and paying close attention to details’. Gary D. Grossman, Sculptor, G. Grossman’s Fine Art – Visit Gary Grossman’s web site to view photographs of California soapstone, Colorado alabaster, Kansas Tuxedo limestone, Kansas Cottonwood limestone, Virginia steatite, Wisconsin sandstone, Nova Scotia blue anhydrite, and Brazilian soapstone. After a year of working on the altar and lectern, Marion "Lucky" Jeffords III designed and installed these pieces for the Cathedral. "The new altar and lectern are cut from Silverdale limestone quarried near Wichita, Kan.
"'I prefer Kansas limestone because it has the more natural look of stone,' Jeffords said. He said the most common limestone quarried in Indiana looks artificial, almost as though it was formed in a mold. "'It should look like stone," he added. "The new altar weighs in at 4,000 pounds, while the lectern tips the scales at about 1,000 pounds. The detailed carving on both is intricate and all done by hand. "'The only tools I have are my hands, some sandpaper, an air compressor and electricity," Jeffords said. The electricity is for a router he uses for some of the more difficult angles and cuts. "When the limestone for the altar showed up at his shop, it was a rectangular block about 12 inches thick, 8 feet long and 4 feet wide. Today it is a work of art. Its carving, cutting and sanding is sure to be the equal of any altar in the state, if not superior. "Jeffords is a bear of a man with hands the size of frying pans and shoulders as wide as the garage door of his countryside shop located in the gently sloping hills south of Littleton. With his ponytail, mustache and powerful stature, your first impression might be that he has a Harley stashed somewhere behind his shop. After all, moving stone around that can weigh hundreds to thousands of pounds is no job for the weak. But his outward appearance belies a disposition that seems as gentle as a lamb. "As a second-generation stonecutter, Jeffords started his career in South Carolina, where he made headstones and monuments for graves. His father, at 72 years old, is still active in the business. After moving to Colorado about 22 years ago, the younger Jeffords decided that the "monument" business was no longer satisfying. Gravestones were beginning to be built by large monument companies in a mass-production atmosphere, not the place for an artist who likes to work slowly and skillfully. "There is no doubt that Jeffords is an artist. While he is quiet about his work, it can be seen in some of the most expensive homes in Denver. "'I spent about five years at one house in Cherry Hills," Jeffords said. "In 1990, architect David Tryba came to me and asked me to build an altar, ambo and tabernacle for the chapel at Regis High School. That was my first experience with church architecture. "Since that time, Jeffords has done work at St. John's Episcopal Cathedral in downtown Denver and is currently working on a project for the new Our Lady of Loreto Church in southeast Aurora." Inez Marshall – A self-taught artist who started carving Kansas Limestone in the late 1930s and continued for 51 years. Some of her work is on display at the Marshall Gallery of the Grassroots Art Center in Lucas, Kansas. Click here to read the "Autobiography of Inez Marshall," presented on the Leonard H. Axe Library web site. “When Tennyson wrote, ‘Man for the field, and woman for the hearth; man for the sword and for the needle she,’ he could not have foreseen how soon this statement would need revision. Man has well nigh deserted the sword; woman’s needle is now driven by machinery, and in her search for new fields of action, she has invaded many trades and professions that were formerly regarded as the sole prerogative of man. Women in mercantile establishments and business offices no longer excite comment. Chicago has some women bank tellers, and every one of the professions has its women representatives, and the census strenuously announces that there are some women blacksmiths. “‘Monumental News’ has recently been trying to discover how many women are identified with the arts and crafts tributary to the marble and granite industries, and while the returns have not been by any means complete, we present on this page some evidence of the fact that woman is deserting the needle and taking up the chisel. It is well-known that there are a number of women sculptors who have achieved national prominence in their art, and one of whom is a member of the National Sculpture Society. Consequently our efforts were directed toward discovering some women marble cutters and carvers, and we have thus far succeeded in finding only three. 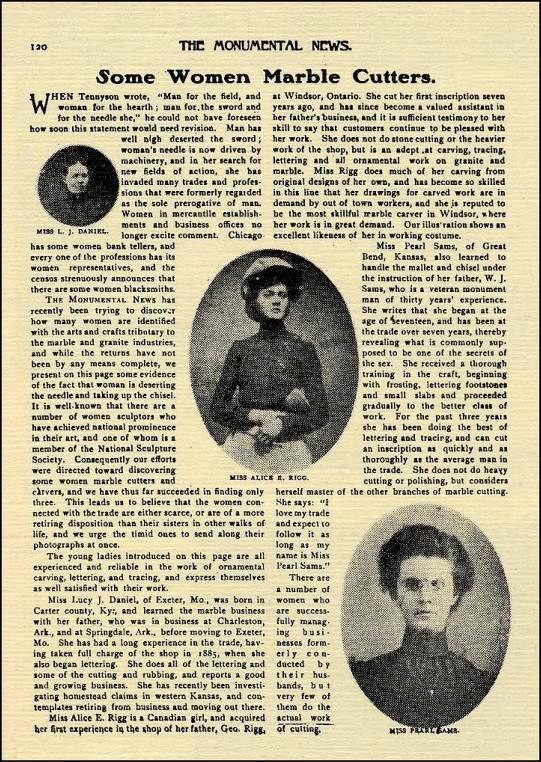 This leads us to believe that the women connected with the trade are either scarce, or are of a more retiring disposition than their sisters in other walks of life, and we urge the timid ones to send along their photographs at once. “The young ladies introduced on this page are all experienced and reliable in the work of ornamental carving, lettering, and tracing, and express themselves as well satisfied with their work. “Miss Lucy J. Daniel, of Executor, Mo., was born in Carter county, Ky.; and learned the marble business with her father, who was in business in Charleston, Ark., and at Springdale, Ark., before moving to Exeter, Mo. she has had a long experience in the trade, having taken full charge of the shop in 1885, when she also began lettering. She does all of the lettering and some of the cutting and rubbing, and reports a good and growing business. She has recently been investigating homestead claims in western Kansas, and contemplates retiring from business and moving out there. “Miss Alice E. Rigg is a Canadian girl, and acquired her first experience in the shop of her father, Geo. Rigg, at Windsor, Ontario. She cut her first inscription seven years ago, and has since become a valued assistant in her father’s business, and it is sufficient testimony to her skill to say that customers continue to be pleased with her work. She does not do stone cutting or the heavier work of the shop, but is an adept at carving, tracing, lettering and all ornamental work on granite and marble. Miss Rigg does much of her carving from original designs of her own, and become so skilled in this line that her drawings for carved work are in demand by out of town workers, and she is reputed to be the most skillful marble carver in Windsor, where her work is in great demand. Our illustration shows an excellent likeness of her in working costume. Photo captions: (1) Miss L. J. Daniel; (2) Miss Alice E. Rigg; and (3) Miss Pearl Sams. Arthur Sayler “The Stone Post Craftsman” – “In Memory of a Member,” taken from the Tiller & Toiler, Larned, Kansas, July 25, 1989, by Carl Immenschuh, on the Santa Fe Trail Research Site of Larry & Carolyn Mix. Another Story About “Arthur Sayler,” on the Santa Fe Trail Research web site. Annie J. Scott, Kansas City (Kansas City Library Special Collections) The information below was taken from a previous abstract from the book entitled, Kansas City Women of Independent Minds – The biography of Annie Jezak Scott is no longer available at the original link, although you can read the article on the Internet Archive. Annie J. Scott was a missionary, doctor, real estate developer, and ran her own stone quarry.